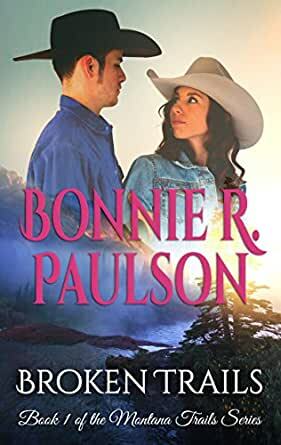 Broken Trails (The Montana Trails Series Book 1) - Kindle edition by Bonnie R. Paulson. Literature & Fiction Kindle eBooks @ Amazon.com. Saddle up for a ride with the Montana Trails you’ll never forget—lasso your copy of Broken Trails today! 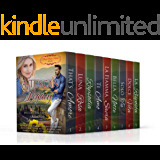 From the bestselling western romance fiction author with over 2000 reviews and ratings of her contemporary books across Goodreads, Amazon and other retailers. Perfect day for a double funeral. Nate stiffened his collar against the brisk wind and pryingeyes of other mourners. They wanted to see him cry. Wanted to see him break. Well, Nathan Rourke didn&apos;t fail, and he certainly didn&apos;t cry. He straightened his spine, conscious of his squared shouldersand his two younger sisters sobbing beside him. Nobody should have to worry about losing their parents attwenty-one. His poor sisters, Stefanie and Hannah, had more to cope withat only fourteen and eleven. Their parents&apos; death would be harder for them.Nate had to be strong for them, keep his sanity together. The grave attendees motioned for Nate to step forward as theystraightened their gloves and jackets in the cooling weather. "As young Mr. Rourke says his final goodbyes, I would ask therest of us to observe a moment of silence." The rent-a-pastor tugged at hiscuff, watching Nate like he too expected tears and blubbering. Clenching two long-stemmed red roses, Nate stepped forward,lifting his chin. He&apos;d be damned before he&apos;d say or do anything in front of thegroup watching him. Not one of them knew his family like they should. No otherfamily had shown up. Did he even have family out there in the world anymore? Hecouldn&apos;t remember. He couldn&apos;t place anyone. None of that mattered. He was just stalling, trying not tosay goodbye one last time. Not to his Mom. Not to Dad. If he threw the flowersin, the workers would cover his parents in dirt. But for a moment - the smallest of moments - Nate could savethem from that. He hadn&apos;t been able to save them from the accident, but thisone second - he could save them this one second in time. Then his second was over. He couldn&apos;t stare at the coffinsforever. He tossed the flowers backhandedly into the not-so-emptygraves and turned his back. Mom and Dad weren&apos;t in those holes. Storming through the craftsman-style home, Nate bellowed,"Hannah, I&apos;m going out." He couldn&apos;t find his hat. Normally he hung the darnthing from the hook by the door. Where was it? He ignored the empty eleganceechoing back his footsteps. If he thought too hard about the things he&apos;d gottenrid of, the guilt would overwhelm him. Impish at thirteen, Hannah poked her head around the cornerfrom the kitchen. A small spot of flour dotted her shirt. She frowned. "Stefanie, again?" Nate glared. "Something tells me you already knew." There,behind the door his wide-brimmed cowboy hat peeked out. He swooped down andsnatched it from its hiding place. If not for the creamy-colored walls tocontrast with the dark mahogany hard wood flooring, Nate would never have seenthe dark brown bucket. He plunked the hat on his head and stalked slowly towardHannah. "Did you know? Where is she?" Blue-eyes wide, Hannah backed up, hands lifted in the air asif in surrender. "Hey, I know what you know. I just guessed. She&apos;s alwaysmaking you mad." He yanked supple leather riding gloves on. Hannah wasn&apos;t thetype to hide things. She most likely wasn&apos;t. More likely Nate&apos;s irritation andworry over Stefanie&apos;s whereabouts made him doubt and suspect everyone andeverything. "Sorry to bark at you, I&apos;m just worried." He ground histeeth, fuming. Add raging to his concernsand Nate wasn&apos;t controlling his emotions very well. Riding his horsewould help. That always helped. He slammed the door shut and the fresh green growth on nearbywillow trees quivered from the force. Nate was pissed and the longer it took to find Stefanie, theharder his anger would be to control. He wouldn&apos;t snap, but her consequenceswould grow. A neighbor had spotted Nate out on the field earlier not thatlong ago and made a comment about kids being kids when they&apos;d exchangedpleasantries. After pressing for more information, Nate culled informationfrom the neighbor about high school students ditching class to go burn abonfire and party out by Old Man Ruger&apos;s pond. Nate had gotten in his own trouble out that way when he wasin school. The last thing he needed was Stefanie drunk and sleeping with someover-sexed farm boy who didn&apos;t know anything about protection or women. Especially when that woman was Nate&apos;s younger sister. The run-down barn had an attached stable that sat off to theside like a lean-to. Everything was wood - wood siding, wood trim, wood slatsfor roofing. The place was a veritable pile of kindling waiting for a match tofall and spur it to an inferno. But the building was all they had for a barn.In the back, Nate&apos;s dad had built a solid cement-walled room for forging.Somehow the presence of cement didn&apos;t make Nate any less leery about the safetyof the rest of the tinder box. Nate had to open the door a specific way with a combinationof moves done exactly right, or the old door would squeak and grown but notopen. First, hit the top corner of the barn door with the flat of his palm justso. Next, yank on the wooden long handle while at the same time yank his hip tothe side. Nate wouldn&apos;t be surprised, if one day he had to enter with apassword - he already had to do the special handshake. Normally they left the door slightly ajar, but Stefanie hadput the horses away last and she wasn&apos;t one who cared about making things easyfor others. Dust motes drifted inside the time-bleached building.Afternoon sunlight filtered through overhead fiberglass slats Nate&apos;s father hadinstalled for windows. Closing the door enough to block the wind, Nate shut out thechaos of the world. He simply existed for a minute within the peacefulness ofthe barn. Old as it was, run-down as it had become, the barn was adifferent world full of comfort and serenity. Muted nickering and the quietlifting and chewing of hay mingled with the random clip and clop of hooves. Nate sighed, a little less amped up, but no less worried. He clucked his tongue. "Hey, girl, where are you?" He playedthe same game with his mare every day, pretending she wasn&apos;t in the middlestall with her name painted above her in pink. "Missy, where are you?" A softwhistle usually signaled her to poke her caramel brown head out and - yep,there she was. "Hey, girl. Ready to go for a ride? We need to take Plucksterwith us." The mention of her name pulled the attention of the darksorrel mare from the feed box. Her ears twitched and she watched Nate stop at thetack closet and pull out the necessary items. He prepped his horses with care,but almost as an afterthought since he&apos;d done the job so many times. He led the horses out of the barn, careful to close the doorbefore mounting Missy. He wrapped Pluckster&apos;s reins around Missy&apos;s pommel andset off at an amble. He didn&apos;t need to push the animals into a sprint and riskinjury, especially when he couldn&apos;t afford more than a 30.06 bullet for care. Emma Benson and Nate Rourke were high school sweethearts and had planned for a future. That's why Nate couldn't understand why Emma left school without a word of explanation or even a goodbye. Nate's parents were suddenly killed leaving him with a younger sister to care for and a Montana ranch to make a home. He will do anything not to lose anything else. Emma has not told Nate of her illness or of her dependance on others. Her huge hospital bills are a burden on family who can hardly make ends meet. Seeing Nate reminds her of a they can never have together. Nate is determined to keep Emma in his life over great odds. I was given a copy of this book in exchange for an honest review. I've read all of Bonnie Paulson's westerns and this one is my favorite next to Spurs and Lace. This one has such an authentic, distinctive feel. Some of the characters are poor, down on their luck, and you can just FEEL their circumstances. The lifelong hardship, the despair, but still they keep trying. Keep hope alive that something better will come along if they just keep trying. That kind of persistence makes them soul weary and you can see how they wear it. Feel it. Makes the narrative full of ooey gooeyness. Nate is a hero you can really get behind. Loves his sisters and lost both his parents, he burdens all this responsibility. And Emma's been fighting cancer all her life. There's a dispair that kind of follows her, engulfs her. I enjoyed getting to watch her grow in confidence and abilities. To see her begin to shin through and not just see herself as a 'sick person' was great. I wanted to cheer for her. It's a romance with heart. Real characters going through real life struggles, some of the darkest ones out there. Great read! 4.0 out of 5 starsThis will pull on your heartstrings! 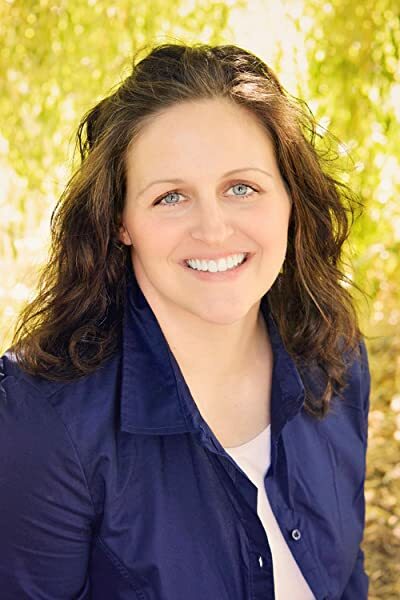 Broken Trails is the first book in the Montana Trails series by Bonnie Paulson. It tells the story of Nathan Rourke and Emma Benson. It is a sweet contemporary romance, which means it has no sexual situations and little to no bad language. When his parents are killed in a car accident, Nathan Rourke, at the age of 21, is suddenly thrust into the role of sole support and guardian for his two younger sisters. As he struggles to make the family ranch pay enough to support his family and pay the bills, he is largely unsuccessful. However, he is at least able to provide enough food. As he turns to selling off ranch equipment and anything else he can find that will bring in money, he doesn't know what to do with the ranch turned wheat farm that his dad had converted only a few years before he died. Emma's parents are in even worse shape than Nathan. They don't even bring in enough money to buy sufficient food for the family. On top of that, Emma's father loses his job because he has taken off so many days when Emma was hospitalized with her life threatening illness. Her medical bills, on top of daily expenses, are literally running their ranch into the ground. Emma can't even make plans for the future, because she is not sure she will even have one. Nate and Emma dated and formed a close relationship in high school, but she suddenly dropped out of sight when her health took a turn for the worst. She is the only girl Nate has ever loved, so will he be able to convince her to remain behind when her parents sell the ranch and move to Washington state to look for work? Will Emma's health remain stable enough for her to work as a companion and helper for Nate's youngest sister? I really enjoyed this book. I thought it showed the reality of the challenges family ranches and farms are facing. Emma's health problems and her wish to live a life independently from her parents really hit home for me. Nate and Emma's characters were well developed, and the storyline was well thought out. I appreciated that it didn't have graphic sexual situations and foul language like most contemporary romances do these days. I would definitely recommend this book for anyone over the age of mid teens. I plan to read more books in the series as well. If a reader does not want to read about poverty and doing without - then do not read this book. There have been a few comments saying they could not read so much about poverty - Guess What - it is a part of life for so many! This story is about Nate trying to keep his family together (2 sisters) after their parents are killed in an auto crash. And is about Emma who has had cancer, off & on, since a young girl which has caused problems with their families financial situation. This occurs in 1999 & 2001 so my problem is why is Emma's family so hard up, this is modern times and there has always been St. Jude's Hospital (yes there would have been travel - but they did send her to Calif. at one point) and there are many cancer hospitals even closer. Plus there is financial assistance and food assistance, etc despite their living in a small town. To some, 1999 may seem ancient but it was not so long ago. ------ Other than that, it was an interesting story of two people getting together after being years apart. A heart-wrenching story of two families that are fighting for their survival in rural Montana. Kate Rourke and his two young sisters have been fighting to hold onto their family ranch every since their parents died in a wreck two years ago. Emma Benson is a neighbor of Nate's and an ex-girlfriend who has cancer and has caused her parents a great deal of medical bills over the years. When her father loses his job for spending too much time at the hospital with Emma it is the last straw. No jobs locally so her parents try other states. Emma doesn't like feeling helpless at twenty-four so she goes to help Hate take care of his two sisters while he works on a ranch miles away. First time read for this author and I greatly enjoyed her way of delving into everyday problems of today's family hardships in our economy. Heartfelt tale.